Once the decision has been made to buy a home, the first step in the process will be choosing a lender and obtaining loan pre approval. While some prospective home buyers may contact their local bank, others might simply choose a lender from the internet. Before taking action, we caution consumers to be aware, not all home mortgage lenders are created equal. When obtaining a home loan it’s suggested to choose a direct lender. One with the ability to facilitate Fannie and Freddie direct loans, and one directly endorsed with HUD and VA. Choose a lender that will lend their own funds with NO OVERLAYS on guidelines! Verify your lender is a true direct lender with full control of the entire process, from application to funding. We know from experience, choosing the right lender may be the difference between your success or failure. Great lenders can often close loans when others can’t. Additionally, you should expect your loan to close quickly and efficiently! For a reliable referral please contact one of our iRealty team members! It’s important to verify your lender is really a direct lender and not just a broker. Some will call themselves direct lenders, but often have overlying guidelines on their loans. This is due to having each loan targeted to an end investor and needing to underwrite to that investor’s guidelines. These lenders are usually funding off other banks lines of credit… basically one step above being a loan broker. Loan brokers usually work between the customer and the investor actually funding the loan. They are not the decision maker and commonly will have delays in closing because they are at the mercy of the investor. Also, beware of the “big banks!” They often put overlying guidelines on loans because they want their underwriters to underwrite each loan to fit inside a “box”. This reduces their risks but it can often cause funding delays and other roadblocks. 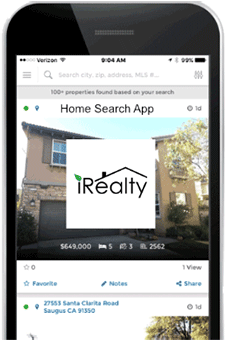 At iRealty, our team members refer our home buyers to work with lenders we know and trust. We know our lender associates will explore all options and opportunities, and will do everything possible to help our buyers obtain the best loan possible. If you are having problems qualifying for the amount needed, were turned down, or told a condo doesn’t meet guidelines, contact us for a referral! We have complete faith, if our associate lenders can’t get it done for you, then it’s just not possible at the current time! If by chance you’re not quite ready to obtain a loan, you’re lender can help you with a targeted plan of action. You’ll walk away with a feasible plan and a timeline so you know when to expect to be able to qualify for your loan.